My first ever rock climbing experience in the great outdoors. 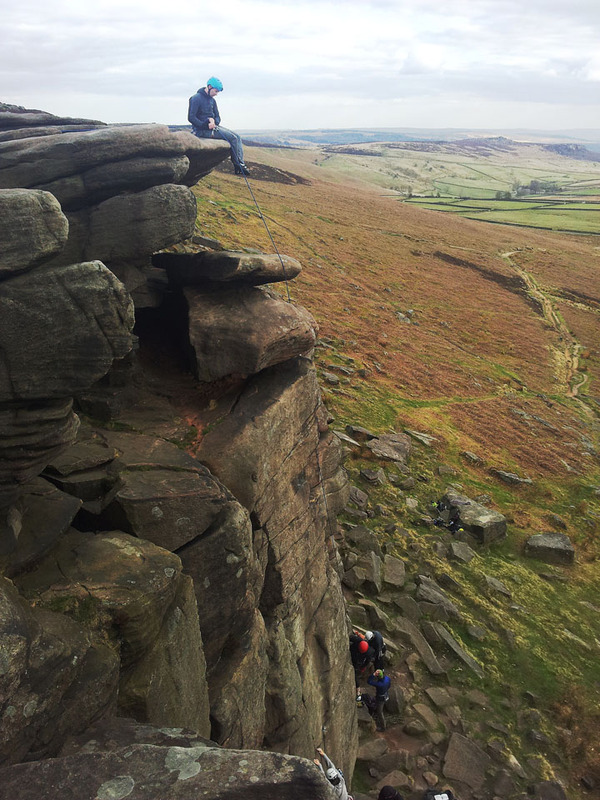 I started indoor climbing at the beginning of January this year and 5 months on it was about time I got outside so me, Carl and Kabir arranged a day off to go up to the Peaks and climb. The Burbage Valley. 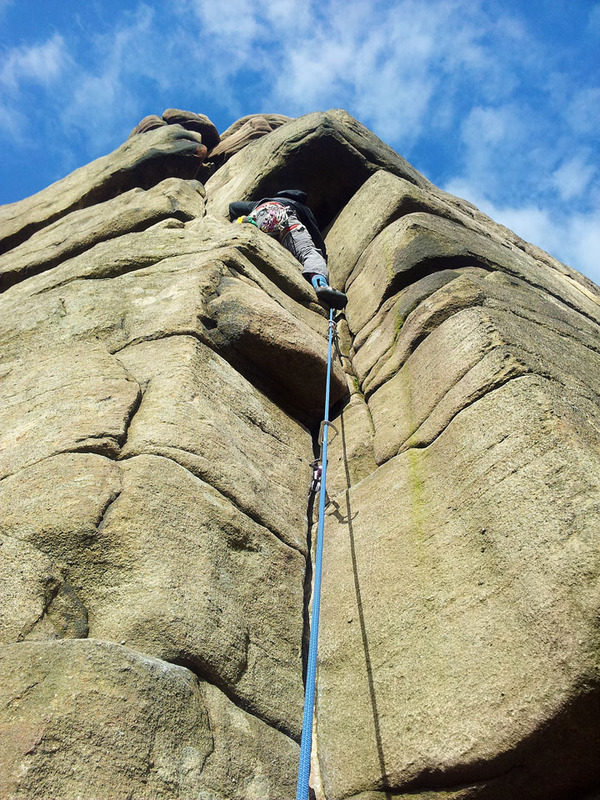 Up until about 1pm we were going over gear placement and anchoring at Burbage North and also had our first lead and second each on two climbs here. The flat topped hill in the centre of the photo has an Iron Age Fort on the top - wouldn't mind going to have a look sometime. Other climbers on some more difficult routes than what we will be attempting today. Carl's lead up his first climb of the day. Only a 'Moderate' but good practice for gear placement. The route is called 'StepToe'. Carl seconding my lead. This is the one where I made a little mistake. I was meant to do a route to the left graded as 'Difficult' but I was a bit too far to the right and went up a harder route graded 'Hard Very Difficult' which was interesting... The route is called 'Baseless'. Carl starting his climb up 'Baseless'. Interesting climb eh? Carl is removing all the gear as he climbs. 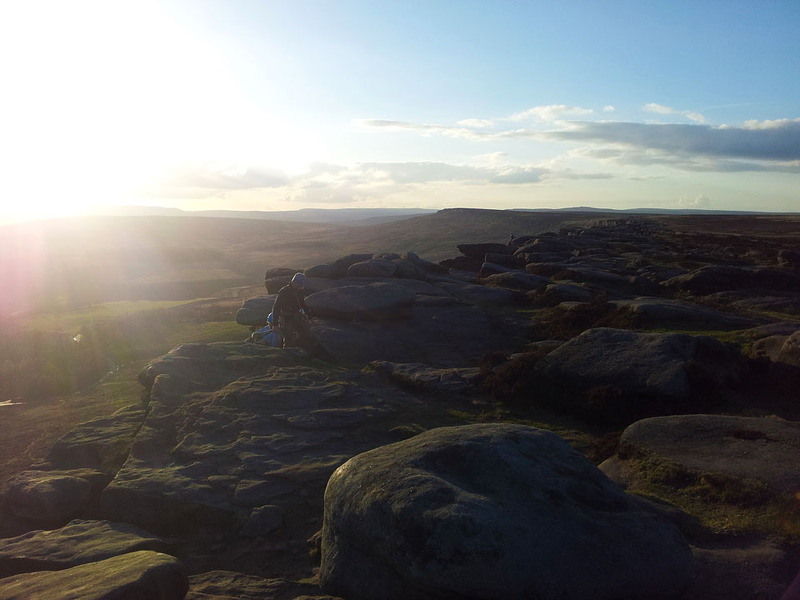 Time to head off to Stanage? Beautiful weather to be at Stanage Edge - and we were lucky enough for it to be rather quiet. Carls next lead 'Capstone Chimney'. This was a great route for practicing chimney techniques and also had a little bit of an overhang at the top. Little bit more cloud around as the afternoon progressed. This view is towards Castleton and Kinder Scout - I will be back here walkinging in a week! 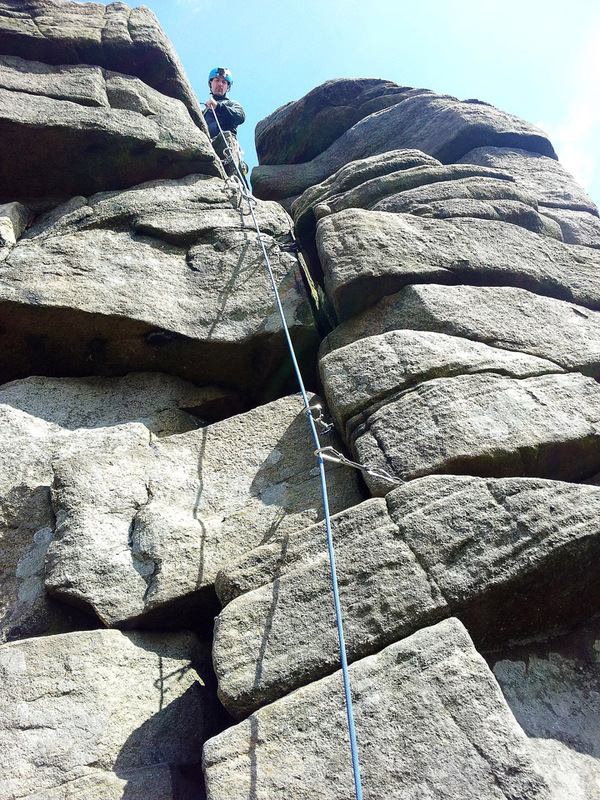 Carl's next lead was 'Crack and Corner' which followed an arete and graded as 'Severe' which was very ambitious for a third lead outside but he did it well and I must say after seconding it, it was a rather interesting route!! Carl is at the half way point where there is a small ledge followed by an awkward move. Great time to distract from the climbing for a photo. Getting closer to the top! My turn to have a go at getting up it! The start was really polished so I admittedly went a slightly different route and traversed along the big crag just below my left foot which was still a bit tough. Kabir's turn - and from this angle you can see how far away the slabs were from the rest of the climb. That was a tough little end to the climb! Sut getting ready to set in the west. 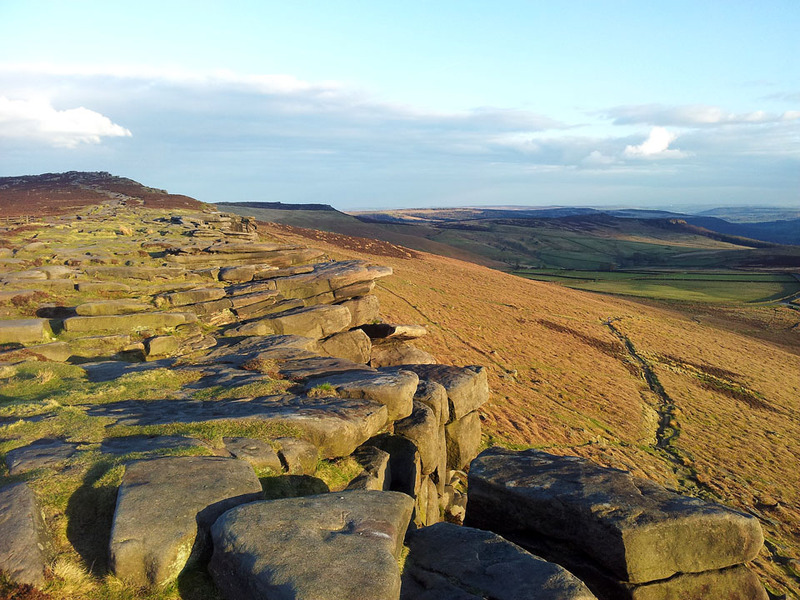 This shot is looking north along Stanage Edge. And at the same time the view in the other direction. A final shot of the hardest climb of the day just before we left. Sunset with rays of light shining down in the Vale of Edale. The two obvious peaks silhouetted are Lose Hill and Win Hill.